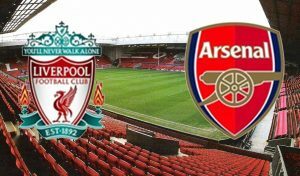 After gaining just 3 points from Arsenal’s first 2 League games, Arsene Wenger will be desperate to avoid defeat against Liverpool at Anfield this afternoon, but they could hardly have picked a worse fixture to get us back on track. The Gunners have a dire recent record against Liverpool, in fact they did the Double over us last season, and Jurgen Klopp has been busy making his team into an impressive attacking force. The fact is that since the Gunners lost at Anfield back in March, Liverpool have lost just one of the subsequent 14 League games and are aiming to mount a serious challenge for the title this season. It is also ominous that Arsenal haven’t won away at Anfield since 2012. In all honesty Liverpool should be favourites to win today. Liverpool 3 Arsenal 1, Premier League, March 2017. Arsenal 3 Liverpool 4, Premier League, August 2016. Liverpool 3 Arsenal 3, Premier League, January 2016. But, as Arsene Wenger would say, let us look at the positives for Arsenal. First of all we will welcome our captain Laurent Koscielny back to marshall our defence, and Wenger seems confident that Alexis Sanchez is ready to play his first (and maybe last?) match of the season for Arsenal. We also have new boy Alexandre Lacazette looking to carry on his great goalscoring record and hopefully Kolasinac will finally get to play as a wingback today. Also Liverpool are missing some key players in Emre Can, Lallana, Clyne, Bogdan and the contract rebel Coutinho. Arsenal simply have convert more of the 100s of chances they create instead of missing them all like we did against Stoke last weekend…. So how will Arsenal line-up now with Koscielny and Alexis back in the fold. Here is my prediction…. One thing is certain, there are a lot of goals in both sides, but although Liverpool are flying they have just had a midweek goal-fest against Hoffenheim in midweek and will not be as fresh as Arsenal today. So my honest prediction is a 2-2 draw, but I will always have the hope that Giroud will come on in the last 20 minutes to make it 3-2! This entry was posted in Arsenal News, Arsenal NewsNow, Arsenal previews on August 27, 2017 by Admin. That was exactly my prediction as well. Our only hope is Alexis is back, and hopefully Wenger has FINALLY figured out what positions his players actually play in, although don’t count on it! Ozil as a starter means Arsenal will play with ten men, because he often got robbed in the first two matches. And I thought Chamberlain will not be focused enough, because he wants to move? I like that idea allot. Arsenal turning up? Hah! Good one. Only concept of ‘turning up’ for Wenger is when he turns up at work every day to collect his 160k a week wage. One nil loss is not a result, unless you’re talking about the pools. A result equals point or points. Liverpool 3-1 arsenal. Laca to score and salah mane can..
Are you Resources or Kev? Dude keg basically tells you everything from money’s twitter account. I have authentic source from within the club. So I only state facts. Kev is a muppet. so you are not Kev and you are Resources….. So your news are fake too? I don’t copy from Moley accounts.He’s known to be a fraud.Check my updates and see if they’re similar with Moley’s.I have a proper source than Moley.He’s been wrong only on the Neymar deal.He’s broken many deals ahead of time for many different teams.It’s a shame I’m an Arsenal fan regarding this circumstance.If it was any other club I’d be applauded fror proving updates ahead of time but Arsenal sign few players and struggle even when the deal looks all but done. who is your source because last I remember you didn’t call the laca story note for note like I did. Or the mustafi deal. Go check my past comments. You can begin to break other clubs news then, if you have such an authentic source.. Why don’t you do that? we are all football fans here let alone being arsenal fans. Go ahead Kev show us how good your sources are..
you are not Resources and Remember Resources too? so are you news fake too? I had an account called Resource. Then I changed it to the current one. Im not kev the muppet..
PLUS if you two kids don’t stop bickering about who has the biggest mouth, you will BOTH be banned. It can be amusing for about 5 minutes – Now it is tedious. Understand? You complain he is copying moley’s twitter? Hmm do you remember posting this comment?…. Guys check out moley on twitter my source says he’s up to date on afc transfers. My friend/sources info has gone quiet.. that seems to be the case in general now from arsenal. Some news on alexis leaving is averrable on moleys account.. take a look at it. And btw everything mole said about lemar is true that is why everyone in the club thought the deal was done..
We will be badly organized and loose by a couple of goals. Wenger will blame the ref, and add, that we weren’t physically ready & lost a it of cohesion. He’s both and he’s also a third one lurking here. I think I really look forward to the dya I will come to comment here and Wenger is no longer our manager, and the Board is different. I think 14years is more than enough to know what this board and Manager offer. There will be nothing new this season. We but Lucas and sell him a season later. We buy Mustafi and sell him a season later – Both quality players. And we are stuck with likes of Welbeck? Walcott? When players like Mahrez and Lemar are actually available? Jean Seri available and we have Ramsey in the middle of the pack?? Sorry guys but am not going to stomach watching us lose to Mourinho again…I just cant. He comes to Chelsea, wins the league, goes to inter, madrid, back to chelsea, wins the league again, goes to Man U and he is looking like wining the league again and we are still stuck with focus on profits??? I wish my team the best this season. But until Wenger moves on, I have other things to do. Spot on brother, but Arsenal’s regression is caused more by the profit-oriented and lack of ambition board (Kroenke, Usmanov and other stockholders). Arsenal could replace Wenger, the result would be the same, as long as Arsenal do not change their mindset and management. With the wages we pay and the money available to us, I think another manager could do better. Especially if he had Alexis still with us, we have one of the finest players in this league but when a new manager comes in it looks like he’ll be gone. It’s no guarantee that another manager would win it but it’s certainly no guarantee that he wont either. The problem is we have wasted time, because Tott Liv and Eve are gonna start paying big wages soon enough. I believe Koeman might have gotten this team over the line, he would of added some defensive stability and a bit of fight, plus he would have gotten a striker in on day one. would prefer eleny to partner xhaka so we will have someone on the bench we can call up if looking for goals instead of that stupid Walcott…2-1 arsenal wins. wishing thinking I know, but it’s Sunday no better day to get my wish. It’s nice to see people sharing an honest opinion for once and not look through the Arsene glasses. We’ll be well beaten today, but this could actually be positive. A string of bad results might make the fans finally push Wenger out but sadly this tough is as optimistic as thinking we can win at Liverpool. Playbyte, a great shout and so true but easier said than done. I have been supporting Arsenal since 1955 and attending since 1958, season ticket holder for over 40 years. Even though we have had a worse team than now for about threequarters of that time at least, I have never known the club in such poor hands with such bitterness among us fans. Let us face facts, we have been a huge club since the 1930s but til the last ten years or so I was always proud to be a Gunner(these days, known as a Gooner) but our club is being raped by a money mad owner, fool of a manager, puppet board and the likes of Walcott and let’s be frank with each other, Ozil too who must “don’t like it up em”, to quote Dads Army. Frank Mc Lintock would have rightly called these non trying players-and there are others- cowards, which is what they are. Unless, Sanchez like, (also Adams, Bould, keown. Parlour, Viera, Dixon, Winterburn etc) you have “real balls” like a proper man, not a weedy frightened child you are always going to be found wanting when the big tough opposition come to get you. We have had this timidity across the team since The Invincibles retired and unless you have only just began as a fan, we all know this full well. That my fellow Gpooners is why there is , rightly such pessimism on this thread/ subject. The awful reality with todays coasters and those who “run” our once honourable club is that we are a club, with an enemy within. To fail to point this out, strongly is to accept this awful state and as a truu lifelong Gooner, my love for our club will not let me do nothing. Unlike Walcott etc, I am not a coward! Need i say that this forum is the most boring forum not because of the posts or the website (admin you are doing an amazing job) but because a lot of people here ARE MOANERS, they come here to moan and groan about everything in the club. It’s a matter of time they all start transferring aggression on each other. Thanks for the recognition mate. After running this site for so many many years now, I have come to realise that you can’t stop Arsenal fans moaning most of the time, but we do have bursts of positivity now and again! Kos back today….although neither the Ox nor Mustafi will presumably be selected.This means that Monreal will undoubtedly continue to offer mediocrity in the back three.Im not sure who will complete the triumvirate…If it’s the BFG then Mane will be locking his lips. 3-0 Liverpool if we’re lucky could be more if we do our usual key stone cops defending!!!! My son and I played out prediction game in the back garden. The same one the nailed the FA Cup. It’s fool proof. 3-2 for Arsenal. You and your son must be deluded then, it’s still first half and Arsenal are already two goals down. This is no football club with management of players, you see it every window for ages… It is a buisness well managed, making huge profits..